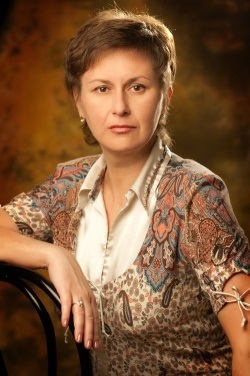 Ludmila Petrovskaya is working on a doctoral thesis on the topic: “Development of сomposition and technology of foam cleaning gel with complex antimicrobial activity”, the specialty 15.00.01 – “Technology of drugs pharmacy organizations and judicial pharmacy” scientific adviser – Doctor of Pharmacy, professor. I. Baranova. The aim of the research is to develop modern foam cleaning bases for further development foam cleaning products (for children, for intimate hygiene). Currently known that the most promising anion activ surfactants are oxyethylated with 2-3 moles sodium and magnesium alkyl ether sulphates or disodium salt of lauryl sulfo succinates. Also,it is rational to use and mix lauryl sulfo succinates and decyl glucosides. The latter are the least irritating to mucous membranes. Abroad, when developing soft foam cleaning products are used a mixture of three different classes of surfactants – lauryl ether sulfate, coco amido propyl betaine (amphoteric surfactant) and alkyl polyglycoside (nonionic surfactant). This mixture has optimal dermatological properties. Equally important is the choice of auxiliary substances that affect the developed product quality. Primarily this are the thickening agents and substances that affect the foaming process. It is planned to conduct a comprehensive and systematic research on study gel carriers’ properties with different complexes of modern surfactants (anionic, nonionic, amphoteric). With the use of pharmacotechnological, structural, mechanical, physical, chemical and other scientific research methods to prove the creating principles of foam cleaning products which are meant for skin cleansing. in specialty 15.00.01 – “Technology of drugs, organization of pharmaceutical business and forensic pharmacy”, supervisor – Doctor of Pharmacy, professor of the department of commodity science in NU of Pharmacy. V.G. Demyanenko. The aim is to develop the scientific and experimental substantiated composition, technology and analysis methods of the drug based on complex BAS of Galium verum for the prevention and treatment of microbial origin renal diseases. It has been studied the literature and conducted a patent search according with the subject of the thesis. It has been assembled and improved equipment for extraction lipophilic complexes by using liquefied gases. A method for producing a lipophilic complex of herb Galium verum using subcritical difluorochloromethane has been invented. The patents of Ukraine for invention and utility model have been received. The main technological parameters of the plant product has been determined and their interconnection with different technological processes has been established.The process of extraction Lady’s bedstraw herb using liquefied gases has been studied. Using the method of Box–Behnken technology of lipophilic extract has been optimized. The methods of quality control lipophilic extract Lady’s bedstraw herb obtained with liquid difluorochloromethane have been developed. It has been designed and optimized composition and technology capsules with Galium verum extract. A study of the microbiological purity of the resulting extract and preliminary antimicrobial screening, which showed high activity against bacteria genera Staphylococcus aureus and Enterococcus Faecalis, making promising further research. Bayva Pavel is working on Ph.D. thesis on the topic: “Development of composition and technology of gel with fusidic acid”, specialty 15.00.01 – “Technology of drugs, pharmacy organizations and judicial pharmacy” scientific adviser – Doctor of Pharmacy, Professor. I. Baranova. The aim of the research is the development theoretically and experimentally substantiated composition, technology and control methods of a local action prodact with fusidic acid (FA) in the form of a gel. According to recent data there are virtually no medicines containing FA in Ukraine. FA is highly active towards a wide range of gram-positive bacteria (Staphylococcus spp., Streptococcus spp., Corynebacterium minutissimum and Propionibacterium acnes), including staphylococcus resistant to penicillin, streptomycin, chloramphenicol, erythromycin and other antibiotics. It is known that the microbiological effectiveness of FC towards Staphylococcus aureus is 100%. At present time we developing the drug of local action with FA for the treatment of pustular inflammatory disease (superficial folliculitis, furunculosis, pyoderma, impetigo, hydradenitissuperficial and local burns, deep wounds, etc. ).